Joshua Zerkel is a busy man. 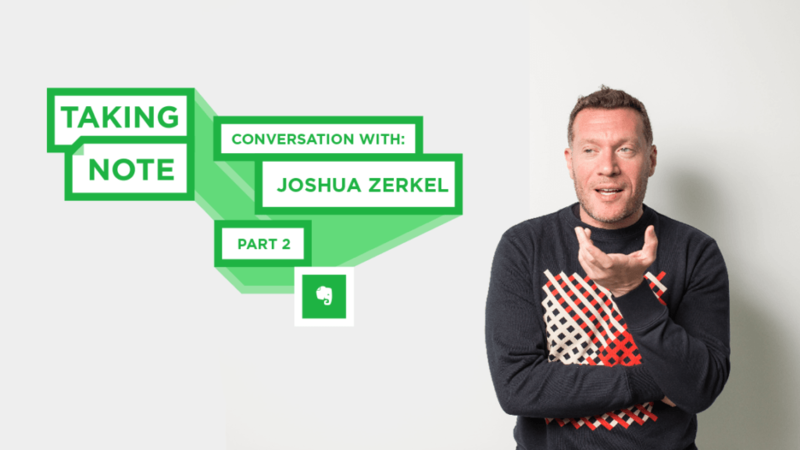 As Evernote’s Director of Global Customer Education and Community, he brings together productivity experts and Evernote fans around the world. 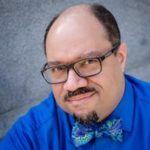 He’s also a Certified Professional Organizer, dedicated to helping people gain more control over their work and lives. I notice you are probably the only person who’s ever come onto this podcast without a phone in your hand. Do you tend to leave it behind? I do. I don’t want to be tethered by technology. I want it to be a tool that I decide to use. Typically, if I’m doing something important like attending a meeting, I’m not typing on my computer the whole time. I’m trying to focus on the thing that’s at hand. Having the phone with me just reminds me there’s another door I can open. I’m trying to reduce my number of inputs because I want to focus. I want to really be where I am and be present. In my bigger life outside of Evernote, I’m trying to be more mindful of all sorts of things, and being present is really important to me. One of the ways I do that is by carrying around a limited number of tech tools with me. The ironic thing is I love gizmos, and I love apps, and I love tools, but I’m trying to be judicious about how and where I use them. Let’s talk a little bit about your own personal system. How do you structure your day? I’m not what I would call a morning person, but the morning is when I have most of my creative energy. I try to structure my day in a way that best leverages when I’m at my mental peak. My most important projects, the things I really need to focus on or do deep work on, I try to schedule those in the morning. And then all the busy work I try to schedule towards the latter part of the day. Oftentimes, you’ll see me front-load both my week and my day with the things that are most critical. I often find if I schedule my most important things in the beginning of the week, then the week doesn’t get away from me and get away from those things that I have deemed priorities for whatever reason, because the further you put things away in the week, the more likely they are to get bumped. If you’re a freelancer or if you’re in business for yourself, then you have a lot more control (in theory, at least), but if you’re just working in an office, then a lot of your time is not your own. People are putting things onto your calendar. You’ve got commitments within the office on a daily, weekly, monthly basis… Do you have a strategy for people whose calendars are already full? Well, generally what I say to people whose calendars are totally full is you probably need to be doing fewer things. I would look at reprioritizing because if your days are so packed back to back to back that you’re having trouble finding the time to eat, or go to the bathroom, or be a normal human and take five minutes for a break, then how are you spending your time? What are you spending it on? What permission are you giving other people to dictate how your time is spent? How are you spending your time? What permission are you giving other people to dictate how your time is spent? I think it’s worth taking a step back and really look at your time as an entity and how much importance are you putting on being in control of it? The easiest thing to do, and this is true in work and in life, is just go by default, “Well, things get scheduled and I just go.” If you really want to feel that sense of empowerment, you need to choose how you spend your time. All of us, whether we realize it or not, are choosing. We’re sometimes choosing to be disempowered or choosing to be empowered, but I encourage people to make that choice. We talked earlier about how it’s easy to fall into this trap of preparing to organize. You wind up lost in the minutiae of creating a system. Does the same thing happen with maintaining a system? Can you put so much structure around what you’re trying to do that it becomes unsustainable? I think so. In my experience, the thing that I’ve seen be successful is having just enough structure rather than over-structure. Over-structure or spending a lot of time thinking about your structure typically leads to what I would call organizational burnout, where you’re spending a lot of time thinking about your structure rather than actually doing the things. There are people, I would call them productivity junkies, who love the different systems that get put out every so often, and there are always new ones, and switching systems, and tweaking their systems. If that’s you and you find that that actually works for you, great. That is certainly not me. I’m like the lazy person’s organizer. I’m like the minimal amount of organization necessary to get to the things that are actually important to you. I would say if you find yourself spending a lot of time on your organizational systems, you might want to look at simplifying them a bit because it’s not supposed to be that hard. That’s the biggest myth, that organization is a tough thing. It shouldn’t be. How do you, personally, organize Evernote? This depends on the lens that I’m looking through. At Evernote, we use Evernote Business as a team. For us here, there are notebooks for each of the core projects that we’re working on. Within each of those notebooks, the ones that I am in all the time, I tend to organize by title. I use title a lot to keep things organized. I put the date, and then I put the topic. That helps me easily scan through the list of notes that are there. I like to have as much information on the screen as possible, so I often have just title view that has all of the details about the title, because then I can sort it really easily. For my personal life and my hobbies, and since I still have a consulting business, I have notebooks for my business topics like clients, and finance, and legal. I have those organized by the name of the business so they’re all grouped together in Evernote. Then all of my personal life like my hobbies, stuff about my house, all of those have their own notebooks, so it’s really easy for me to find things and share them when I need them. What’s your number one secret tip for Evernote? I’m maybe a bit old school. I still think about my desk. On my desk, I always had, not piles per se, but organized folders of the things I was working on. The way that I’ve translated into the electronic world is shortcuts in Evernote. If you were to look at my shortcuts, you would see shortcuts for each one of the main projects that I’m working on which, if they were on my desk, they would be in a folder. My shortcuts are kind of like my desk. I change my shortcuts all the time based on what I’m working on. To me, shortcuts are a really unused or underutilized part of Evernote that can really help people be much more organized when they think about how to structure it. My shortcuts are kind of like my desk. Shortcuts are a really underutilized part of Evernote. 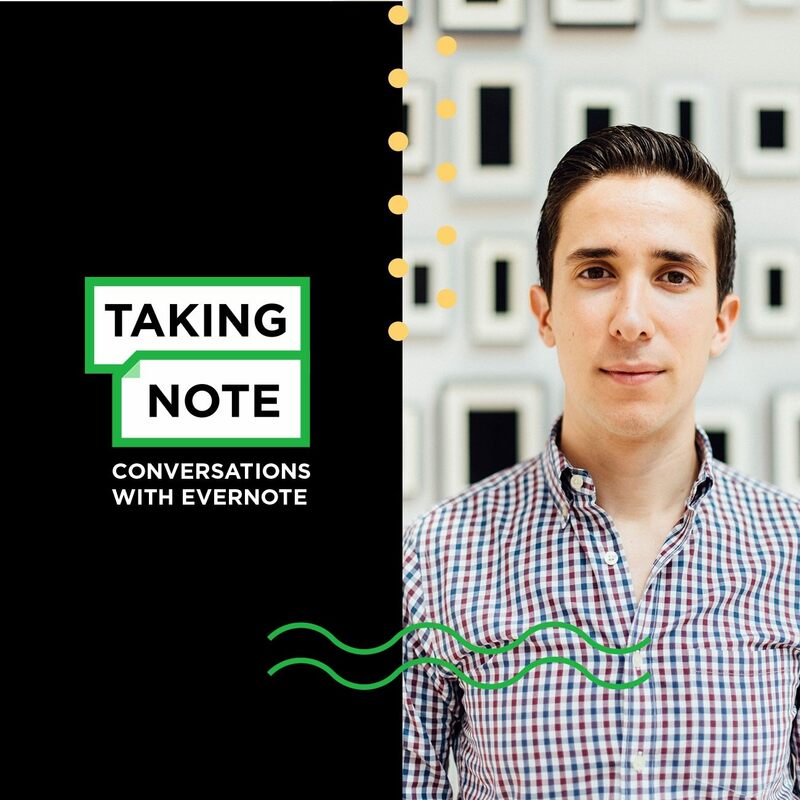 The Evernote Community is really designed to connect people who love Evernote and want to share it with other people, to the people who want to learn about it. This can take the form of a community leader speaking at a meet-up or hosting their own meet-up in their local area, or it could take the form of an Evernote Certified Consultant working with a small business who wants to implement Evernote amongst their team. 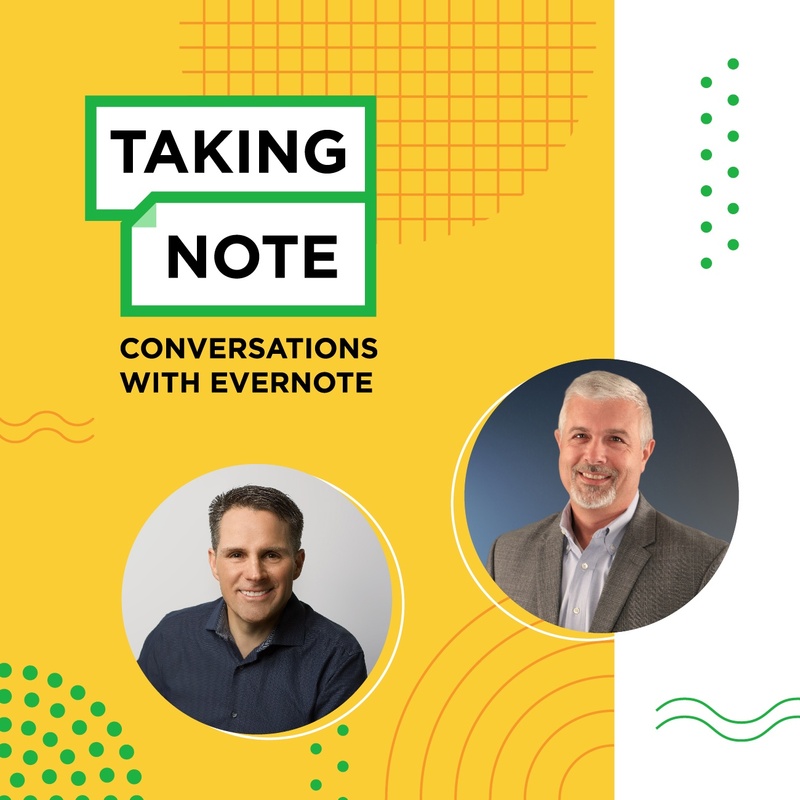 It’s about connecting people who either want to learn about Evernote or love Evernote together. 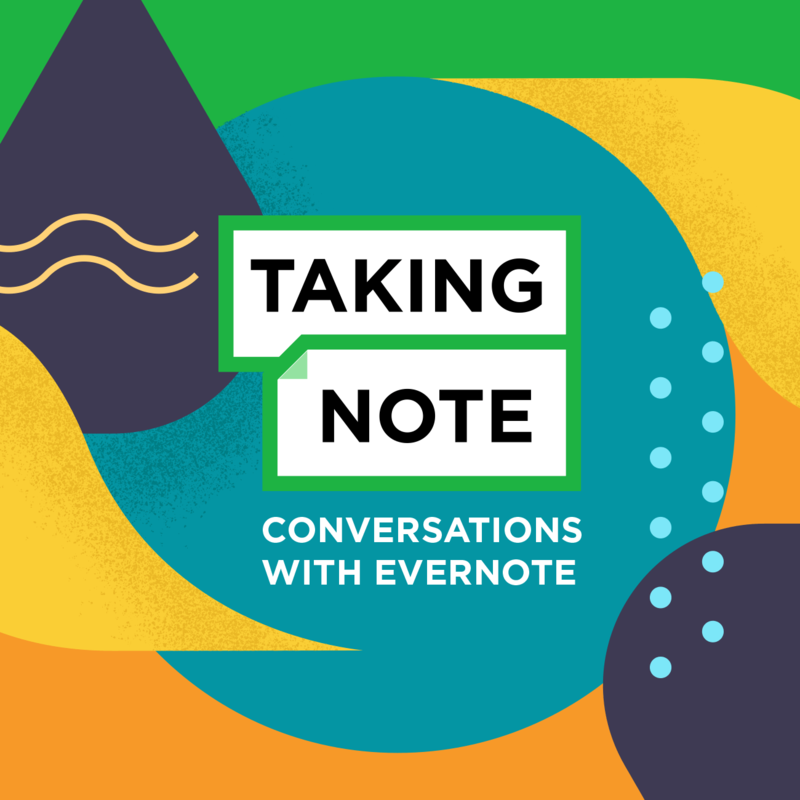 For me, the most awesome thing about this particular role is how diverse the people who love and use Evernote are, and all of the awesome ways that they are bringing it to their own communities. This takes the form of everything from online, social media, discussion forums, blog posts, online classes to in-person events like small group workshops to hosting meet-ups, as I mentioned, to being with me when I’m on tour and speaking on a panel discussion. Just the diversity of the people, their clients, where they are, is endlessly fascinating to me. If you go to the Evernote Community calendar, you’ll see dozens of events happening online and offline every month. Those are sponsored and hosted by Community members themselves of their own initiative. It’s amazing to me. They love it and they want to share it with people in their network. It’s just really gratifying to see that. It’s not just any old person who says, “I’m an Evernote expert,” right? There’s a whole training program for people who want to get into this. Yeah, especially for people who want to be Evernote Certified Consultants. You have to be willing to dedicate some of your time to our training program, because it shows you all of the ins and out of Evernote, and it shows you how to not just talk about it, but really in-depth ways to bring Evernote’s workflows to your customers and your clients in a way that provides a lot of value. It’s not like you can just hang your shingle out and say, “I’m an Evernote Certified Consultant.” The program was specifically designed to really give people lots of tools to help them bring Evernote to their people in the way that makes the most sense. People always surprise me. They surprise me with their workflows. They surprise me with their level of passion. You’ve spent years as a professional organizer. You’ve spent years within the Evernote ecosystem and as an Evernote employee. Are you still sometimes surprised when you go on the road and you talk to people? Yeah. I think because of the nature of working with humans, people always surprise me. They surprise me with their workflows. They surprise me with their level of passion. I’ve gone to events where people have shown me their handmade Evernote T-shirts where they’ve designed their own puff paint Evernote logos. People love this thing. That’s the part that surprises me the most. I mean, it does and it doesn’t, because I know personally the difference that Evernote makes for people because I’ve spent so many years involved, but seeing it on a continual basis and seeing it around the world, it’s just amazing to me. To hear the rest of this interview and subscribe to future episodes of “Taking Note,” look for us on iTunes, SoundCloud, Overcast, or your podcast platform of choice.